Think—what foods do you eat day in, and day out on a regular basis? Foods eaten daily can often cause chronic health problems. Would you believe that the majority of people have some hidden food sensitivities? Think—what foods do you eat day in, and day out on a regular basis? Often these may not even be foods you realize you are eating, but exist as ingredients in many packaged foods. Foods and food substances, eaten every day can often cause chronic health problems like weight gain, puffiness, inflammation—and even more serious health conditions like migraine headaches, arthritis, osteoporosis, neuropathy, bladder infections and other illnesses associated with long-term nutrient deficiencies. One of the most overlooked and least understood parts of diet is food allergies and sensitivities. Did you know that a large percentage of the population has food sensitivities and don’t know it? Many allergies and sensitivities come are actually food addictions. Food allergies or sensitivities do not always occur as a big, full-blown allergic reaction with hives, shortness of breath and anaphylactic reactions. Often these food reactions can occur on a ‘sub-clinical’ level without obvious symptoms. But not always obvious is the inflammation and reaction on the cellular level. As surprising as it sounds, it is possible to be both allergic and addicted to a food or chemical substance—and this is often the case. The two things go hand in hand. This sets up cravings with both physiological (physical) and psychological (mental or emotional) discomfort, withdrawal symptoms and cravings when the offending food is not available. 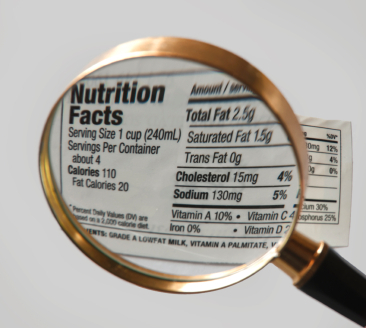 While there often is a much longer list, the top offenders are usually foods that contain wheat, dairy, corn or soy. And if you think about it, its pretty hard to avoid these foods as they are the ingredients in many, many processed or packaged foods—and often disguised as ingredients you may not recognize. What happens in a food sensitivity reaction? Foods that are partially digested leak through the cell wall of the intestinal lining. Then the undigested particles of food are attacked by the immune system as if they are foreign invaders. When the immune system is activated, our bodies react in a similar way to fighting off a virus or bacterial invasion. The ability to fight other infections drops, inflammation in the body goes up and some kind of reaction takes place. Often it is a chronic reaction because the offending food is eaten every day. When reactions occur to foods that are eaten on a regular day-to-day basis, there is constant chronic inflammation that can manifest as a variety of symptoms. Part of the weight gained from food allergies is fluid retention caused by inflammation and the release of certain hormones. In addition, some foods do not break down and digest properly–particularly carbohydrate–in the intestines which can result in a swollen distended belly, indigestion, and gas production. Eating these foods actually creates a physiological reaction in the body similar to way we would react to an addictive drug like cocaine or heroin. Foods can release substances in the body that create an almost euphoric high. This reaction is just like when an addict gets “high”. Endorphins and other hormones are released, the body reacts and then withdraws. And guess what? All addictions have the same type of reaction – whether cigarettes, coffee, heroin, corn, wheat, milk or other foods. Both addictive and allergic responses to a food allergy can cause uncontrollable eating behavior. Every hear someone say they just can’t live without their _________ (fill in the blank here–bread, pasta, milk, etc.) ? And it’s not just hives or a rash that come from the allergy-addiction syndrome. Most any chronic physical problem can come from a low grade food allergy. As Dr. Ellen Grant reported in the medical journal, Lancet, 85% of people who suffer from migraines could be symptom-free if they eliminated common food allergens. And, there is also strong evidence that chronic arthritis, asthma and diabetes may be caused by allergic reactions as well. Huge numbers of people have hidden food allergies, which are manifested in the form of addictions. And the misleading thing is that food allergy reactions are not always immediate and severe (as in the case of hives, shortness of breath and other life threatening symptoms), but often reactions are very subtle and delayed for 24-48 hours, making it difficult to trace back to a particular food. Food allergies and sensitivities can cause symptoms like fatigue, brain fog, heartburn, arthritis, irritable bowel syndrome, sinusitis, irritability, yeast infections, migraines, rashes, psoriasis, acne, anxiety, depression, insomnia, PMS and more. Chronic food allergies can affect virtually any system in the body. Often one of the best ways to detect a food sensitivity or delayed allergy reaction is to look at the foods that you eat every day, all the time. Can you go without them? Think about it–if you cannot live without your daily bread, bagel, cereal, etc., its highly possible you have a sensitivity to that food and is most likely it is causing an inflammatory reaction in your body. What’s the solution? Anyone who is trying to lose weight or has any kind of chronic health condition should look at food allergies or sensitivities. Become suspicious if you eat a particular food every day—and that includes most of us—or if you have a favorite food that you eat often or crave. Pay attention when you are eating—are there certain foods you just cannot get enough of? Since the most common offenders are wheat, corn, soy and dairy products, the first step is an elimination diet. Remove all the foods that contain wheat, corn, soy and dairy from your diet for a minimum period of two weeks. That means reading every label and scrutinizing everything you are eating. Most processed or packaged foods contain these ingredients in some form, so eating simple one-ingredient natural foods is the easiest way to avoid the allergens—and it’s far healthier as well. So for example, eat an apple instead of something out of a box. It’s important to note that wheat is the primary content of most all flours (except gluten free) and prepared items, so that means cutting out most all breads—whether its whole wheat, rye or white; pastas, crackers, cookies, cereals, and more. However, it’s pretty easy now to find plenty of wheat and gluten free items to substitute–but watch out for added corn in gluten free items. Wheat and corn starch are also commonly used as thickeners in sauces and gravies as well, so beware when eating prepared soups or eating out when sauces are served with foods. Doing an elimination diet is NOT easy. You may feel intense cravings the first 24-48 hours after you start and you could begin to feel sick as your body detoxes the offending substances out of your body. But–if you stick with it–4 or 5 days into the diet, you may suddenly feel like a brand new person! Your energy will rebound, you will have sparkling mental clarity, and smooth glowing skin. Not only that, but many lose 5-10 pounds in 4-5 days! As you continue on the diet, you may also continue to lose weight, since you are not overeating certain foods to get your ‘fix’. After the two weeks, slowly re-introduce the allergenic foods, one at a time. Try adding wheat back in for one full day, then wait 2 more days to record any delayed symptoms. When you add in a food, eat it at all three meals to get the full reaction. You may be really shocked! Food allergies and sensitivities have been ignored by most medical doctors. Because no pharmaceuticals are involved,doctors don’t tend to diagnose or treat health conditions with elimination diet. The simplest answer to food allergies and sensitivities is to eat pure, natural, whole foods like grass fed meats, fresh fruits and vegetables with ONE ingredient, and avoid processed, packaged convenience foods and fast foods with multiple ingredients. Removing foods that you are allergic or sensitive to can have life changing benefits. You can actually change health issues such as depression and anxiety, improve your sleep, have better digestion, clearer skin, reduce asthma, stop eczema and psoriasis, and end arthritis and joint pain, and more. It’s really worth the effort. To get help for an elimination/detox diet, contact me at Cat (at) simplesmartnutrition(dot) com. I can help you–I’ve been there! Catherine (Cat) Ebeling RN BSN,is a back to basics diet and nutrition specialist. In addition to her advanced degree in nursing from a major medical school, she has spent the last 30 years intensely studying diet, health and nutrition. She also has a book titled “The Fat Burning Kitchen, Your 24 Hour Diet Transformation” that has sold over 60,000 copies worldwide, and has helped thousands of people transform their lives, lose weight and improve their health. Her mission is to help others prevent disease, lose weight, and live their best life ever. 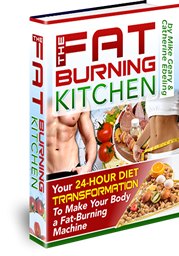 The Fat Burning Kitchen will get you started on the path to a healthy diet, weight loss and vibrant health.You will notice a difference in the first 24 hours! Learn about the so-called ‘health’ foods you may be eating that are actually ruining your health, and causing you to gain weight. And find out the best, fat-burning super-powered nutritious foods to eat to lose fat, gain boundless energy, and feel better than you ever have!